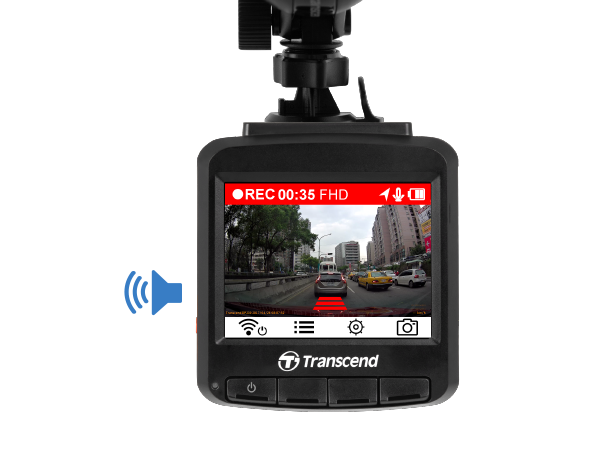 Featuring a large F/1.8 aperture and high-quality camera lens, the DrivePro 220 can automatically adjust to different lighting conditions to capture all details of an incident, including license plates, during either daytime or nighttime. 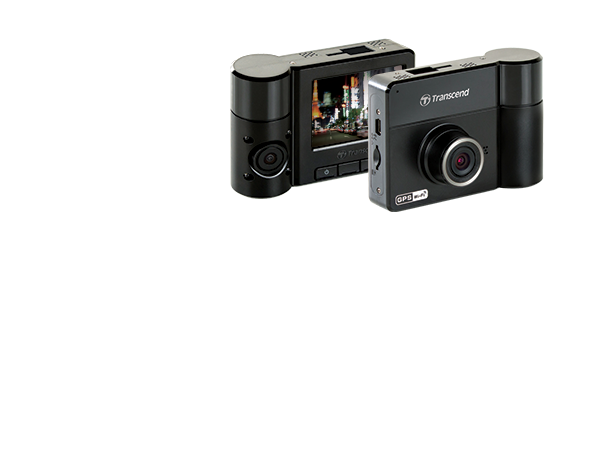 The camera also integrates a wide 130° viewing angle and a Full HD imaging sensor for clear and smooth 1080P (30fps) recordings. 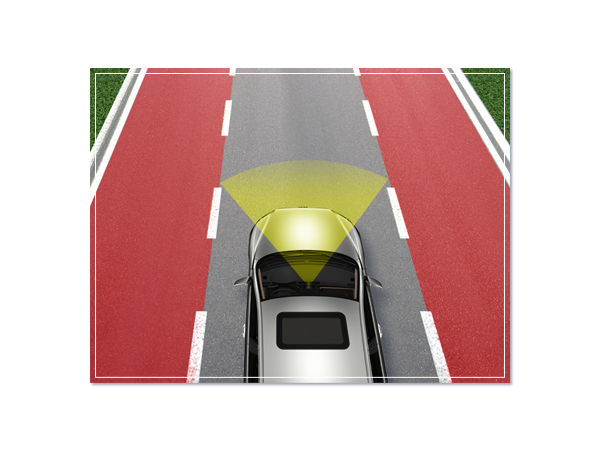 The Lane Departure Warning System (LDWS) is designed to prevent potential incidents by warning the driver when the vehicle begins to move out of its lane. 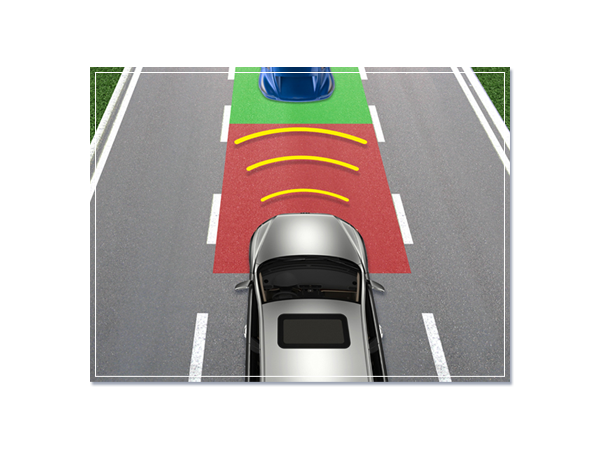 The system monitors the lane markings on the roadway, and shows an alert picture on the screen plus a warning sound whenever the driving speed exceeds the preset value and the vehicle starts to deviate from its lane. Keeping safe distance is important. 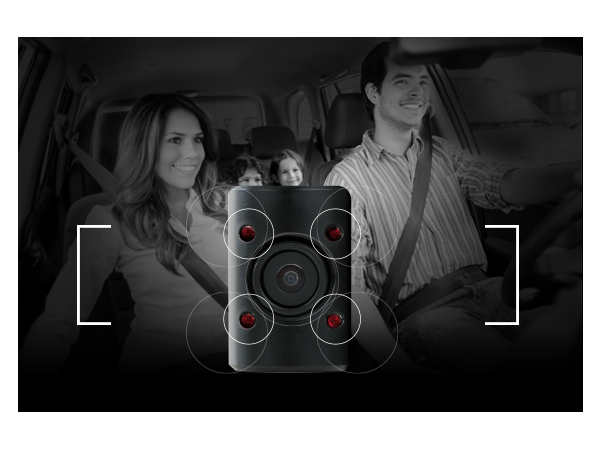 DrivePro 220's Forward Collision Warning System (FCWS) will warn the driver when the driving speed exceeds the preset value and the vehicle gets too close to the car ahead. 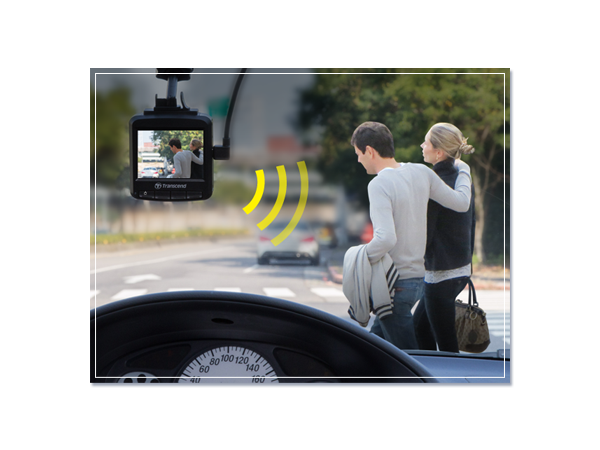 In such case, the system will alert the driver with a warning sound and warning sign on display. 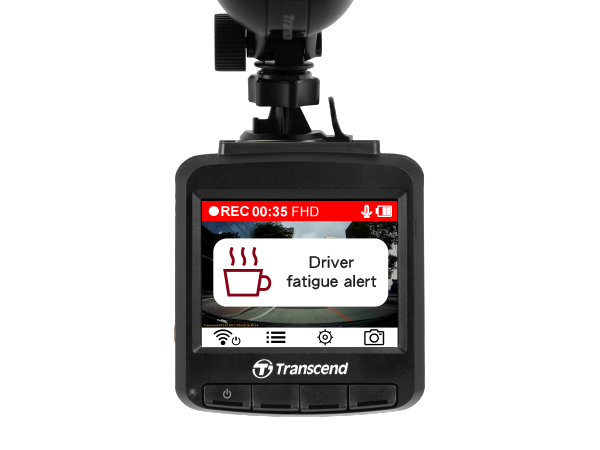 DrivePro 220's also features Speed Alarm, which will warn the driver with a warning sound when the driving speed limit exceeds the preset value. 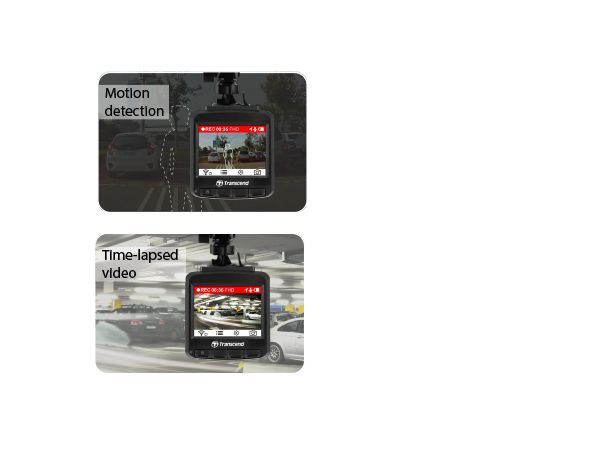 With the latest motion detection technology, DrivePro 220 can automatically start recording when the sensor detects a movement in Parking Mode. 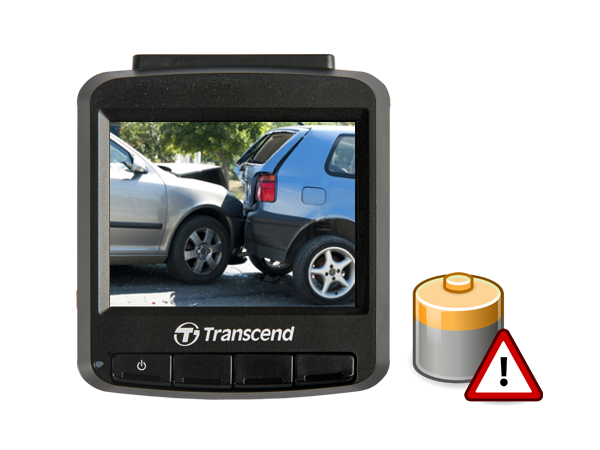 With a built-in Li-Polymer battery, there's no need to worry about sudden power failure caused by traffic incidents. 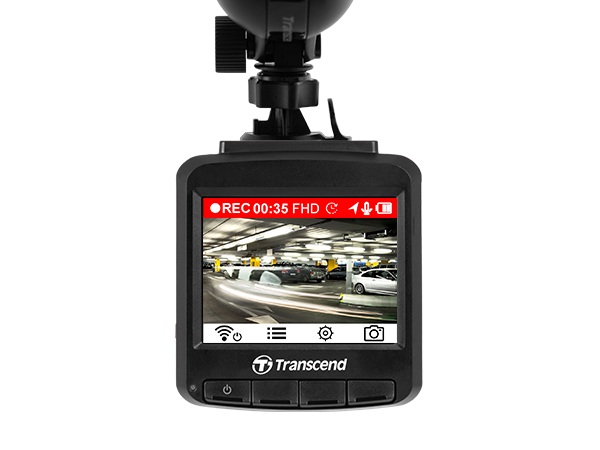 When the car loses power, DrivePro 220 continues to record for up to 30 seconds to ensure the important evidence is captured. 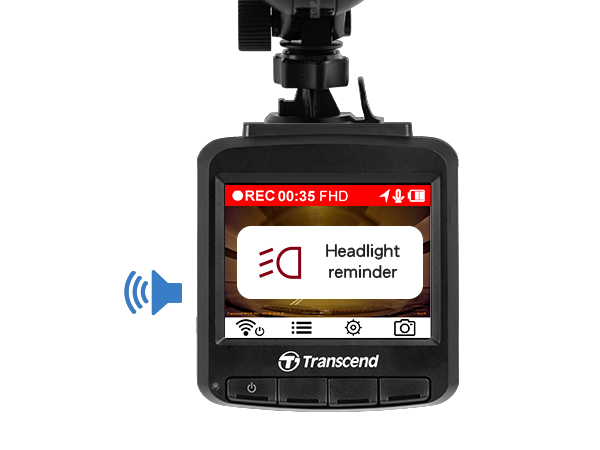 Alternatively, the DrivePro 220 can be manually activated to record up to 30 minutes on a fully charged battery without a power supply. 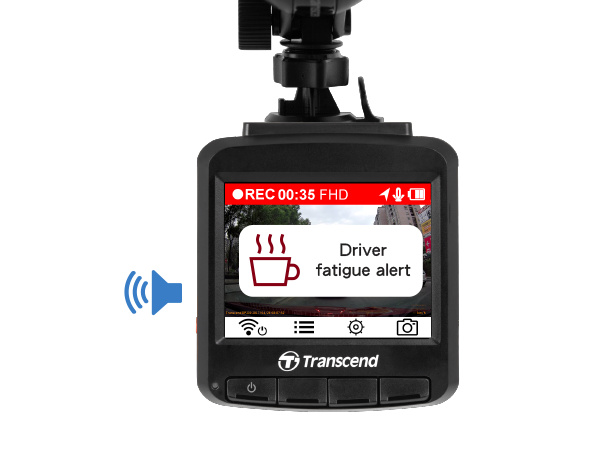 Thanks to its built-in Wi-Fi and supported by the free downloadable DrivePro App, for Apple iOS and Android devices, the DrivePro 220 can be operated by a passenger as the driver gets on with the task of driving. 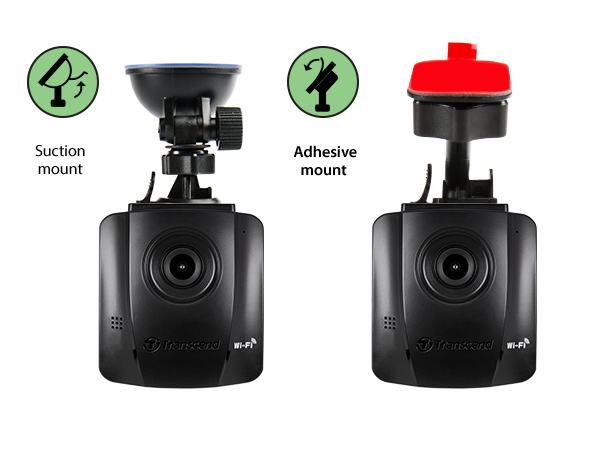 When connected to the DrivePro 220's dedicated wireless network, you can view live video footage during recording, playback and download videos, and easily adjust DrivePro 220 settings directly from your smartphone or tablet. 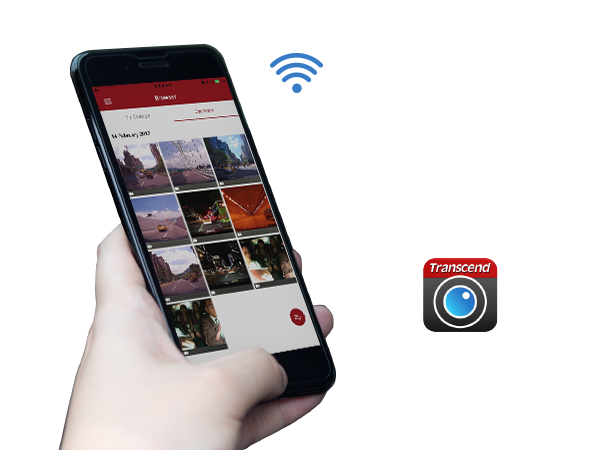 As each DrivePro 220 includes a 16GB microSDHC memory card that can record up to 120 minutes of Full HD video, there's no need to worry about overwriting the important footage. 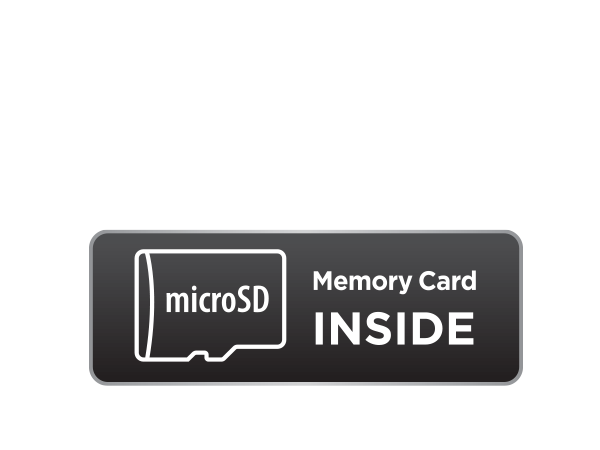 Built with top-tier MLC NAND flash chips, the Transend's 16GB microSDHC memory card provides consistent long-life durability and endurance. 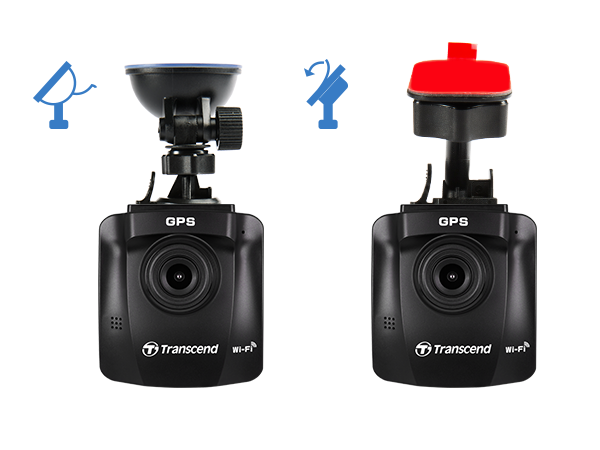 For a better user experience, DrivePro 220 provides two packages for two different mounts - suction mount and adhesive mount. 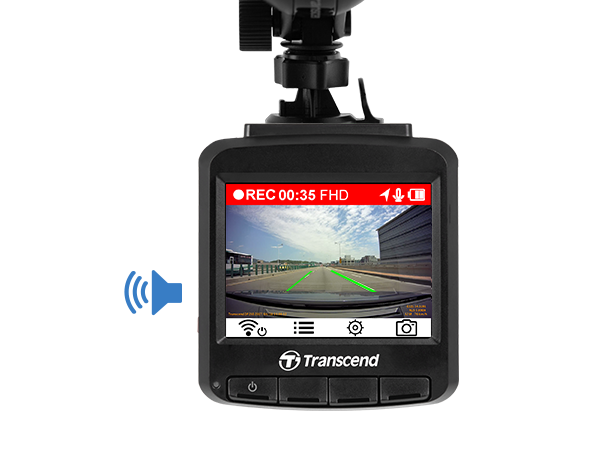 You can purchase your preferred mount and attach your DrivePro 220 securely to the windshield. 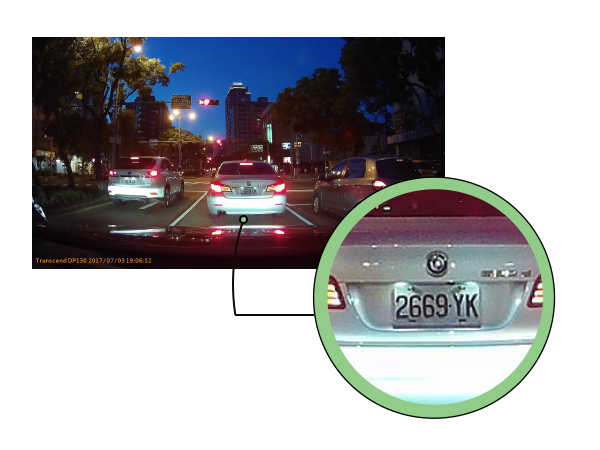 Road safety is important. 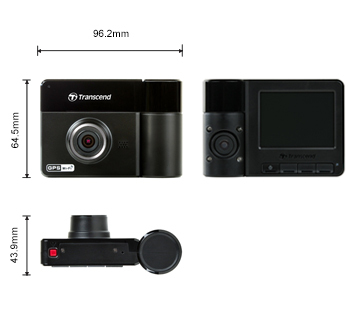 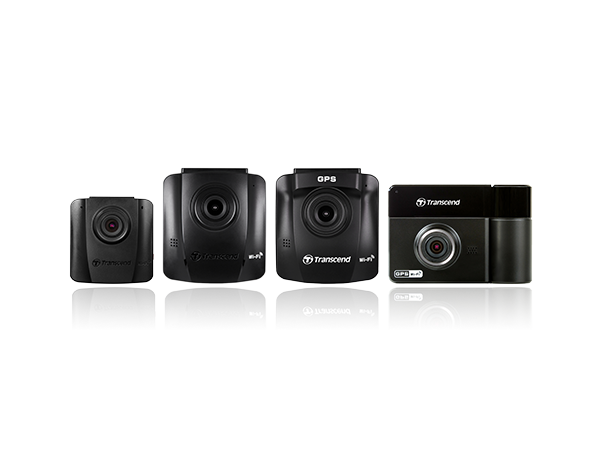 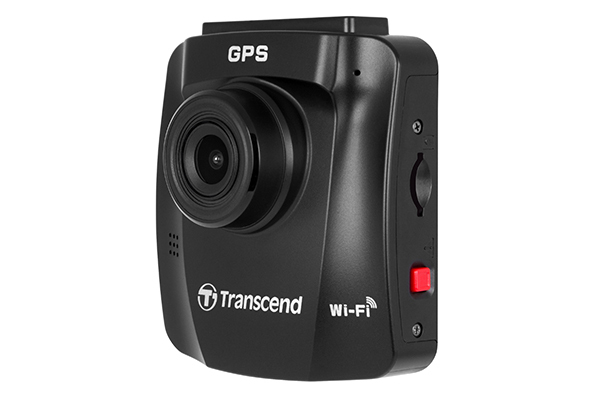 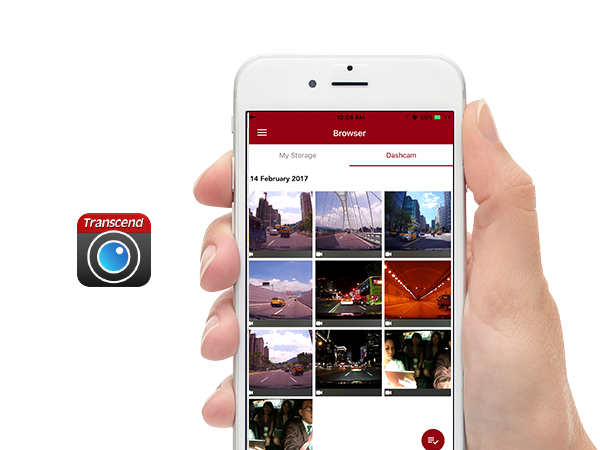 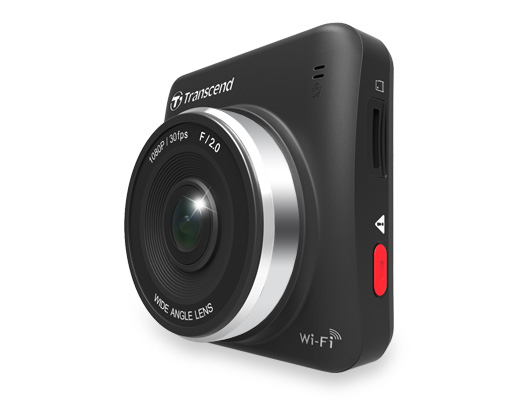 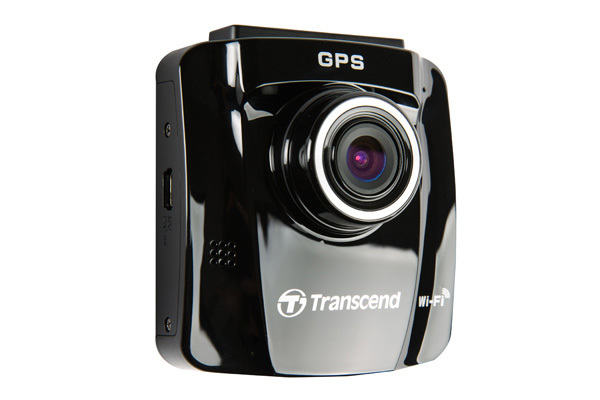 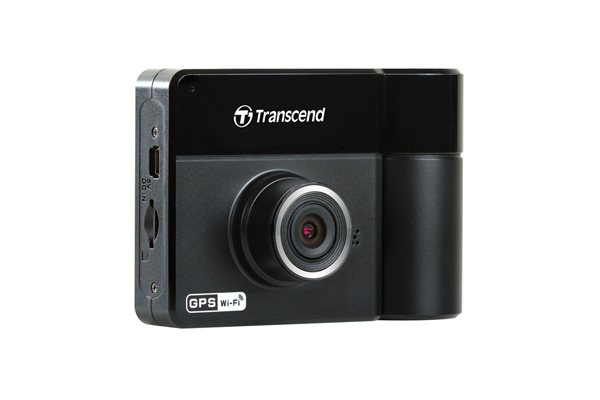 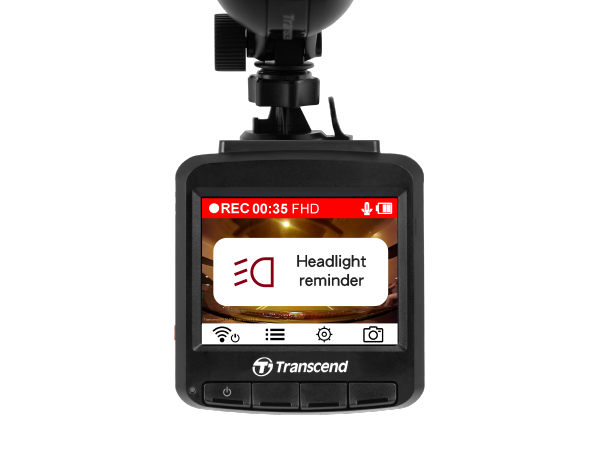 Transcend's DrivePro 130 dashcam utilizes a Sony image sensor to provide high-resolution images with extremely fine tonal gradation even in low light. 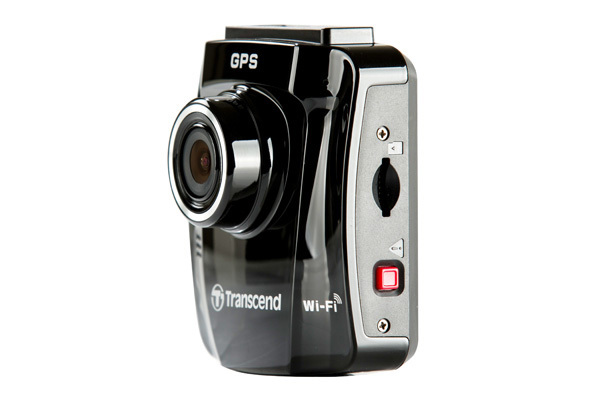 In addition, the DrivePro 130 features Wi-Fi connectivity, a built-in battery, a handy snapshot button, emergency recording, headlight reminder, and driver fatigue alert. 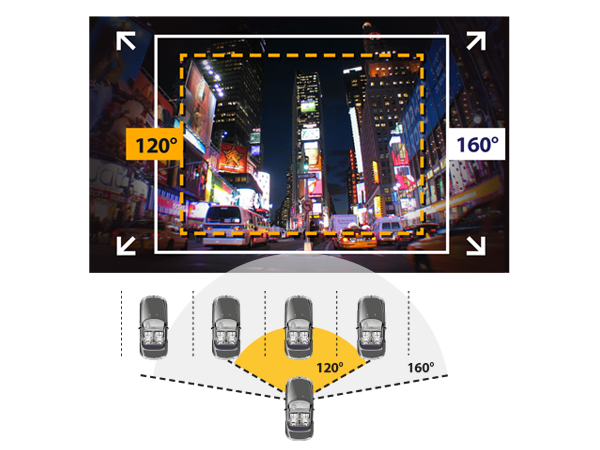 The DrivePro 130 uses a Sony sensor to capture high-resolution images with superb, rich color even in low light.  Its built-in Wide Dynamic Range (WDR) technology balances the light and dark areas of captured images, ensuring that every critical shot is as clear as possible. 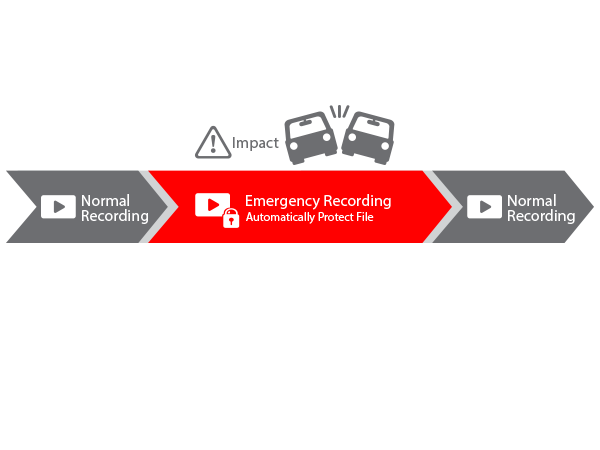 The snapshot button allows you to take photos while still recording video. 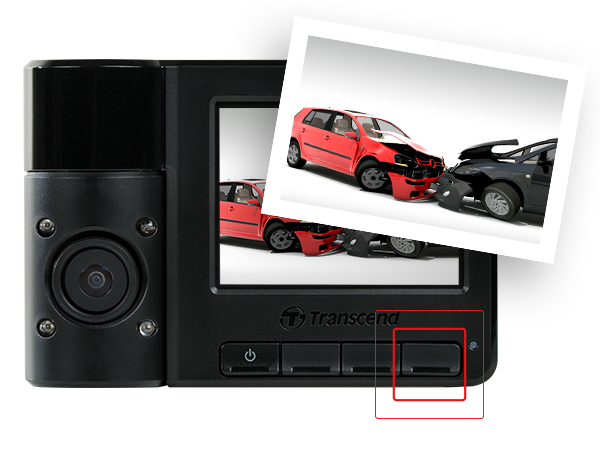 During an incident, you can remove the DrivePro 130 from the vehicle to create a photographic record of collision damage.  In the event of a collision, the DrivePro 130's motion G-sensor detects the impact and triggers emergency recording mode. 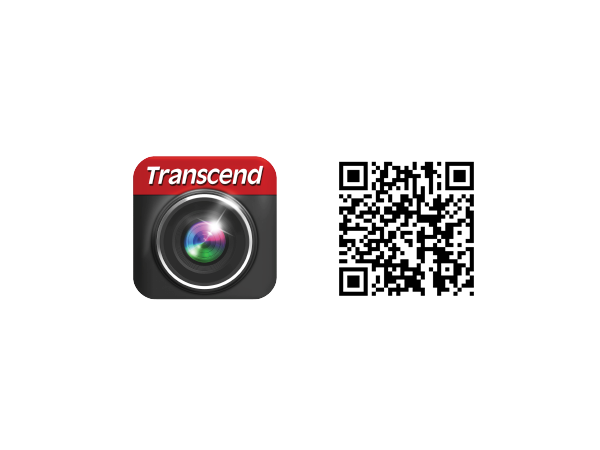 This prevents overwriting of the file being recorded at the time. 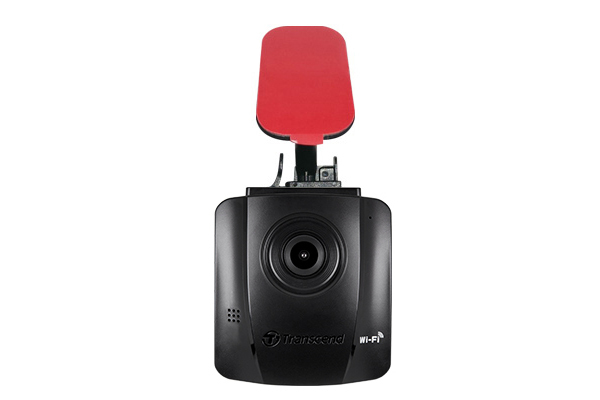 This feature can also be manually activated by pressing the red button on the side of the unit. 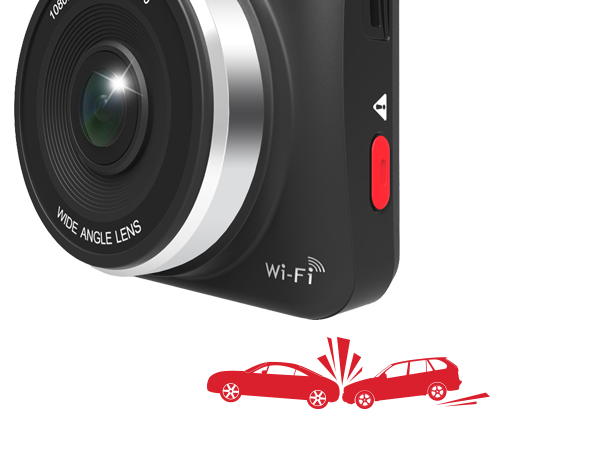 The DrivePro 130 features Wi-Fi connectivity that works with the exclusive DrivePro App to provide real-time footage playback and download. 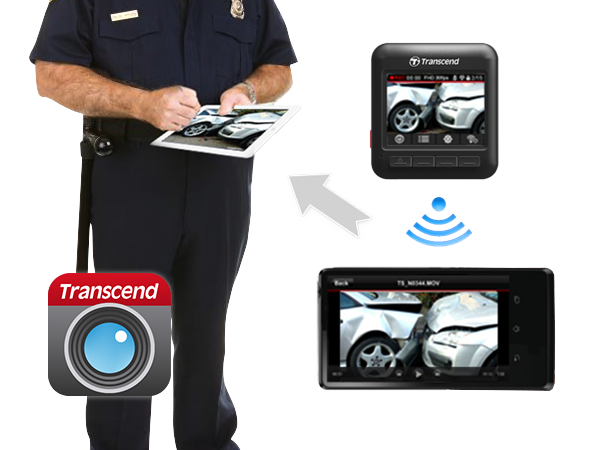 This means ease of access to video evidence for reporting incidents to law enforcement and insurance companies without the need to pull out the memory card. 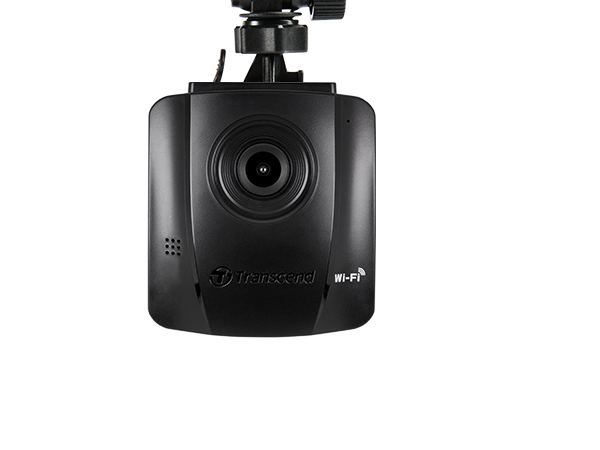 In addition to on-the-road safety, the DrivePro 130 stands sentry when the vehicle is parked. 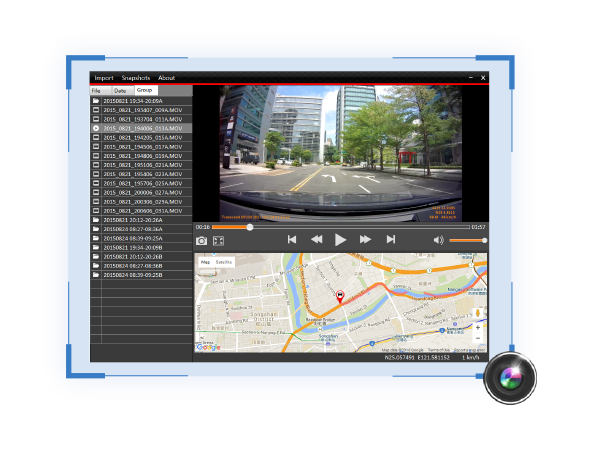 Enabling time-lapse video recording means you can get right to the heart of the matter without needing to view hours of incident-free footage. 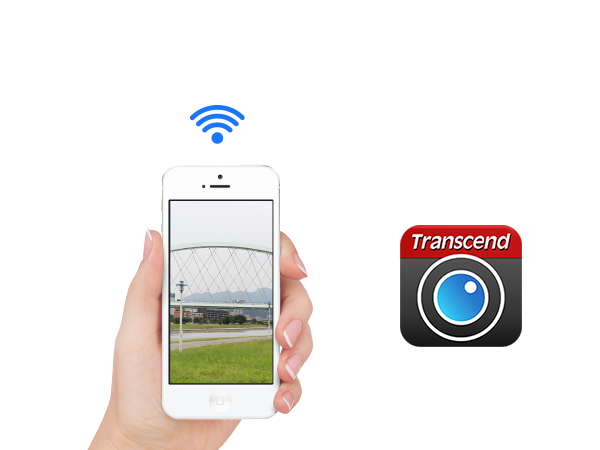 Note: This feature requires the installation of a power bank or hardwired power cable for constant power supply. 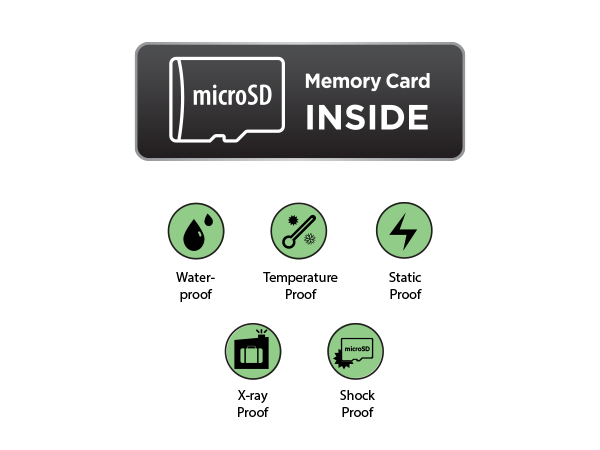 The DrivePro 130 comes bundled with a Transcend 16GB High Endurance memory card built of top-tier MLC NAND flash chips, and tested under harsh environmental conditions. 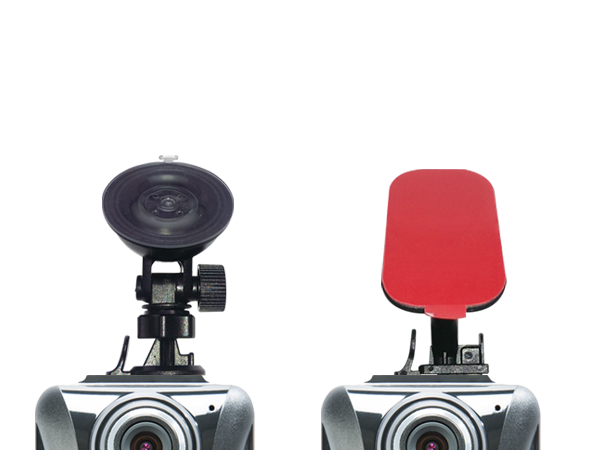 It can operate in temperatures from -25° to 85°C, providing consistent long-life durability and endurance. 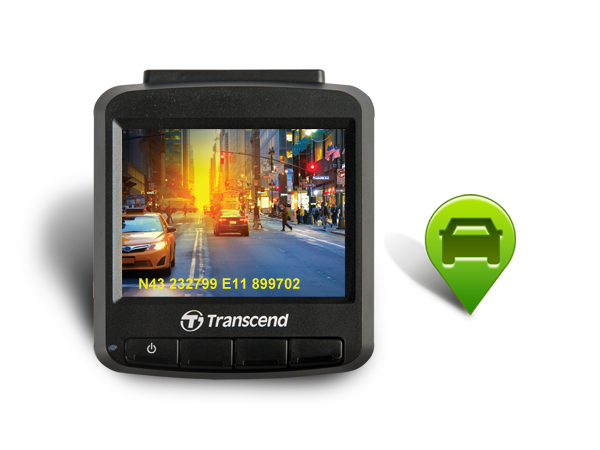 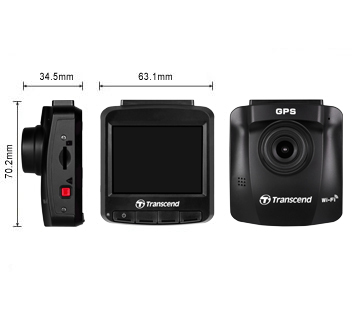 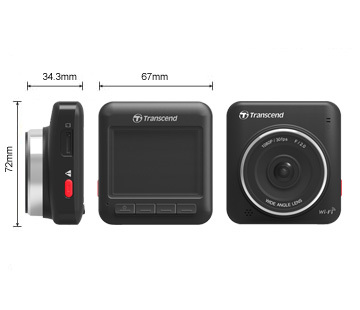 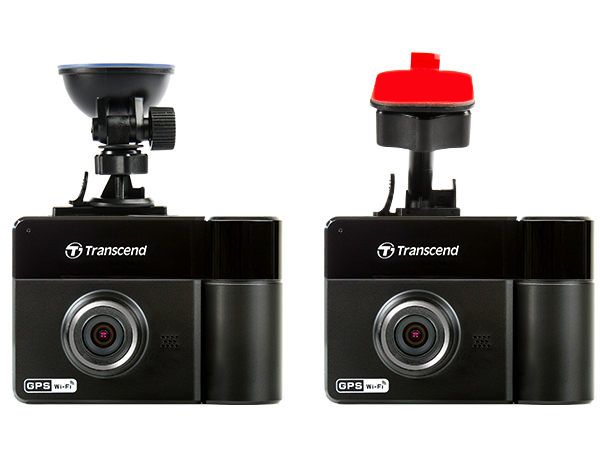 Transcend offers two choices of car mount for the DrivePro 130 dashcam: suction or adhesive. 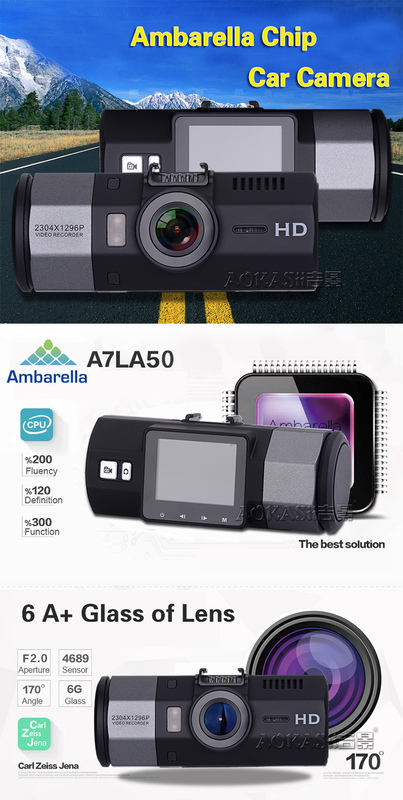 Either type may be purchased separately to suit your personal preference. 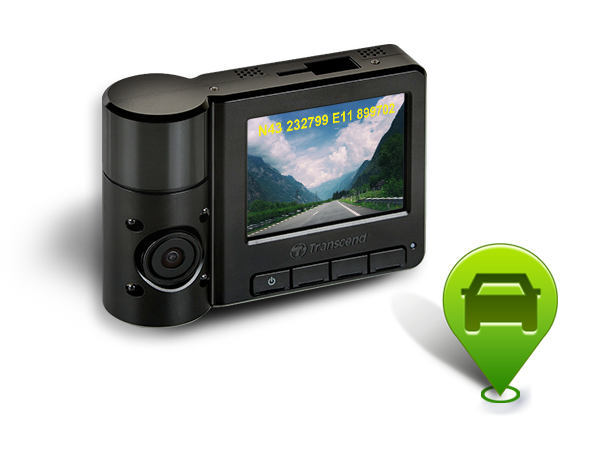 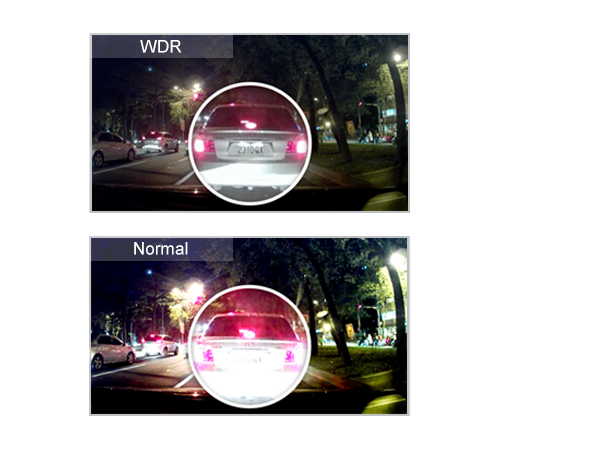 Day or night, the DrivePro 200 Car Video Recorder is your dependable eyewitness on the road. 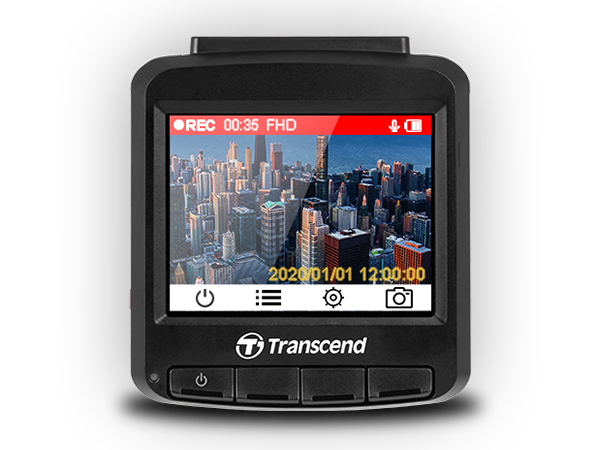 The DrivePro 200's high-quality wide angle 7 glass lens captures crystal-clear Full HD video and features a bright 2.4" color LCD screen for live view and playback, making it easier than ever to gather reliable evidence and examine events. 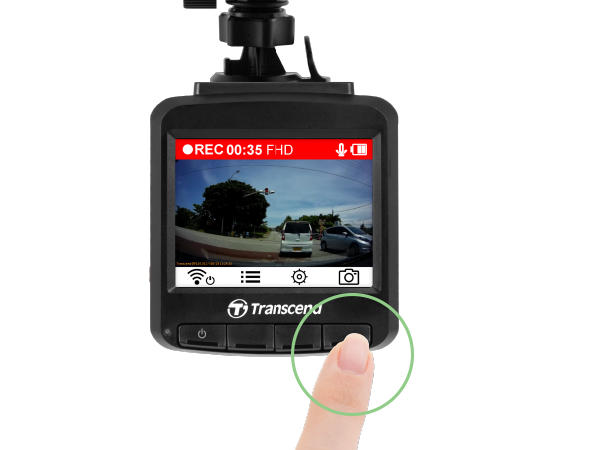 Easy to install and operate, the DrivePro 200 even includes wireless smartphone connectivity to let you stream, download, and share videos whenever needed. 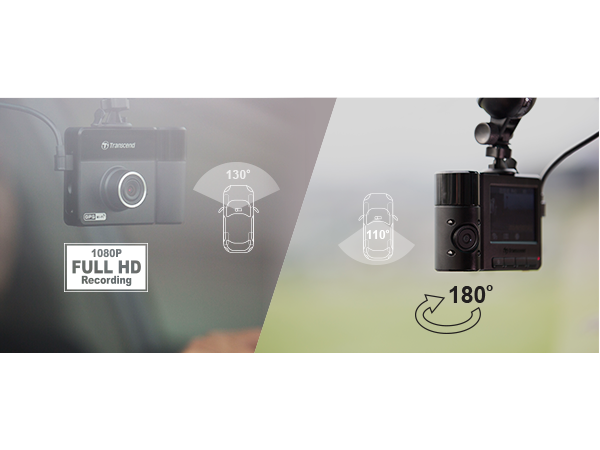 Featuring a large f/2.0 aperture, the DrivePro's high-quality camera lens will automatically adjust to light conditions to capture all details of an event, including license plates, in both day and night. 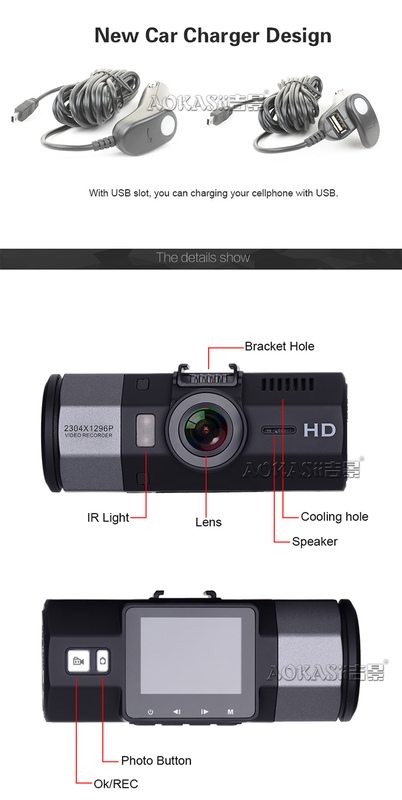 7 glass lenses plus 1 Infrared filter lens are designed to prevent fogging from heat generated after long recording. 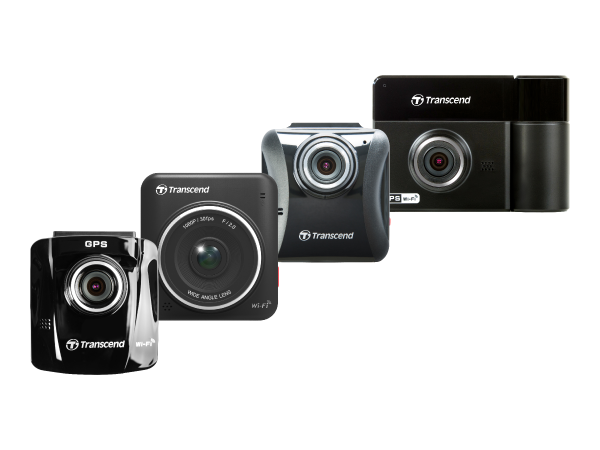 The DrivePro's camera combines an extra wide 160° viewing angle, resolution of 1920x1080p (30fps), and a row of 7 glass lenses to ensure your whole trip is recorded in high clarity as it happens. 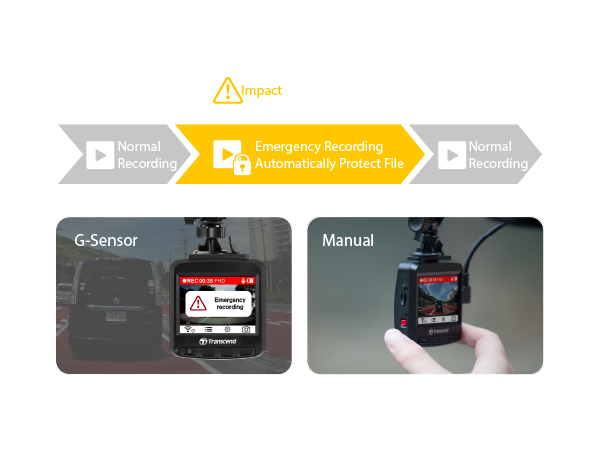 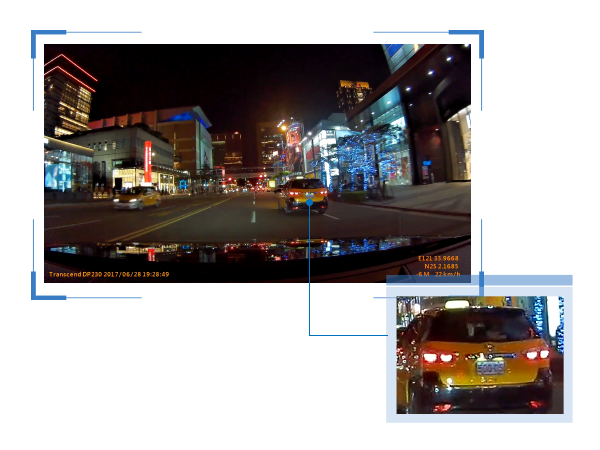 In the event of a collision, DrivePro's motion G-Sensor will detect an impact Emergency recording mode protects the current recording, including the critical seconds before the accident, from being overwritten. 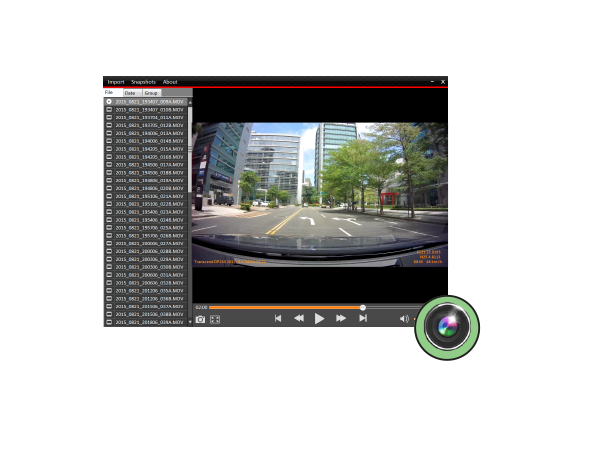 Supported by the free downloadable DrivePro App, for Apple iOS and Android devices, the DrivePro includes wireless smartphone connectivity to let you stream, download, and share videos whenever needed – perfect for reporting incidents to insurance companies or police. 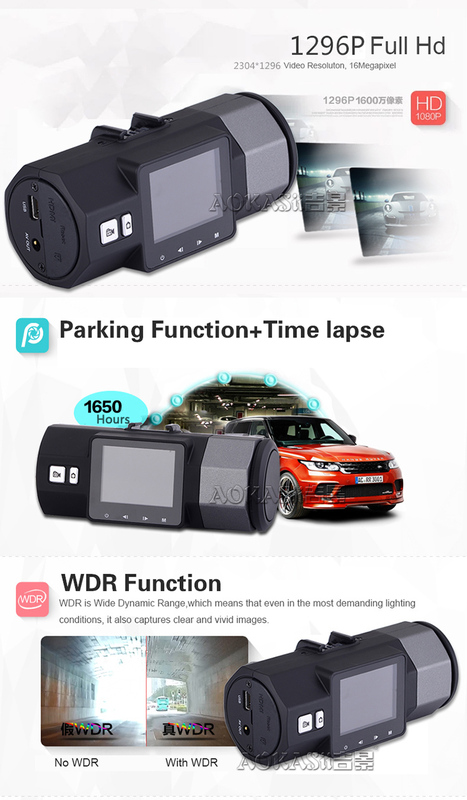 Thanks to its built-in Wi-Fi and supported by the free downloadable DrivePro 200 App, for Apple iOS and Android devices, the DrivePro 200 can be operated by a passenger as the driver gets on with the task of driving. 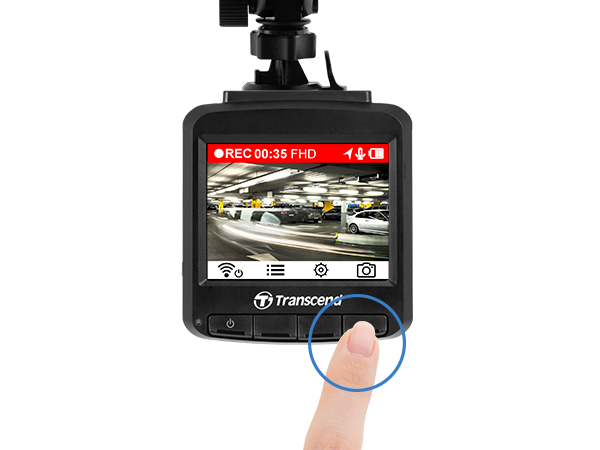 When connected to the DrivePro 200's dedicated wireless network, you can view live video footage during recording, playback and download videos, and easily adjust DrivePro 200 settings directly from your smartphone or tablet. 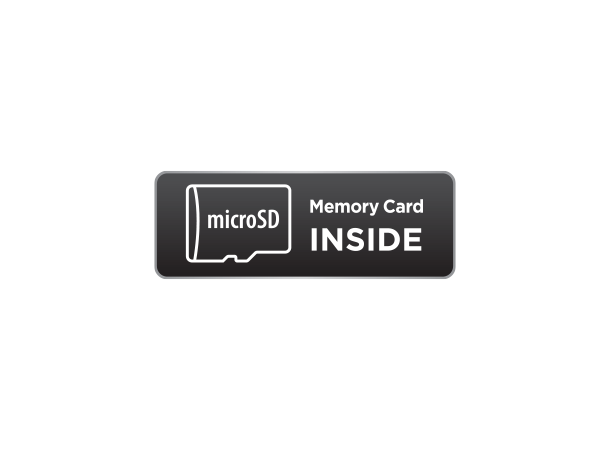 Each DrivePro 200 includes a 16GB microSDHC memory card that records up to 120 minutes Full HD video, keeping worry-free from accidentally overwritting the important footage. 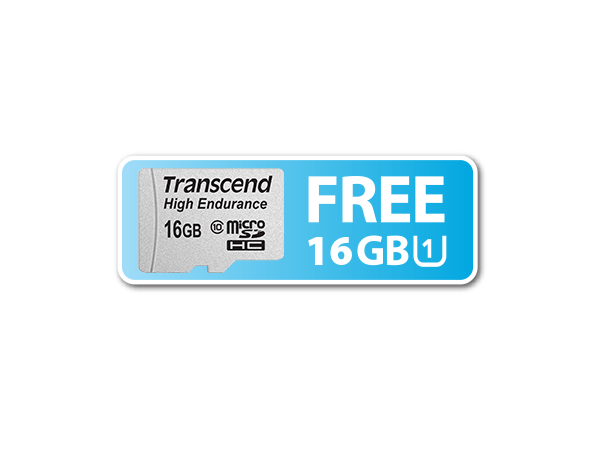 Built with top-tier MLC NAND flash chips, the Transend's 16GB microSDHC memory card provides consistent long-life durability and endurance. 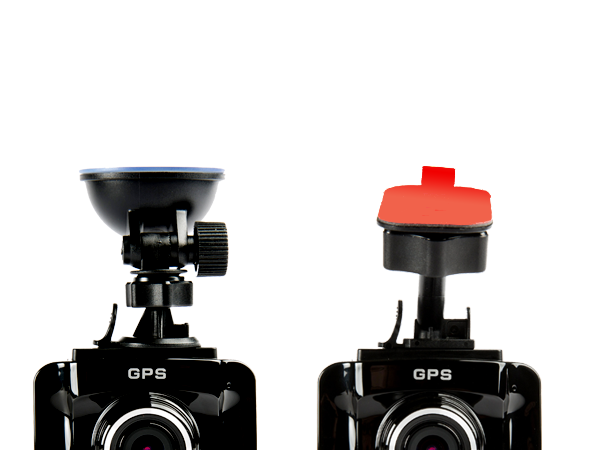 For a better user experience, DrivePro 200 provides two different car mounts - suction mount and adhesive mount*. 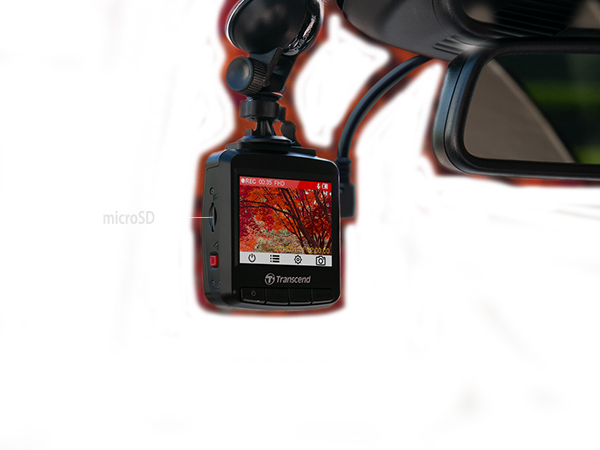 You can purchase your preferred mount and attach your DrivePro 200 securely to the windshield. 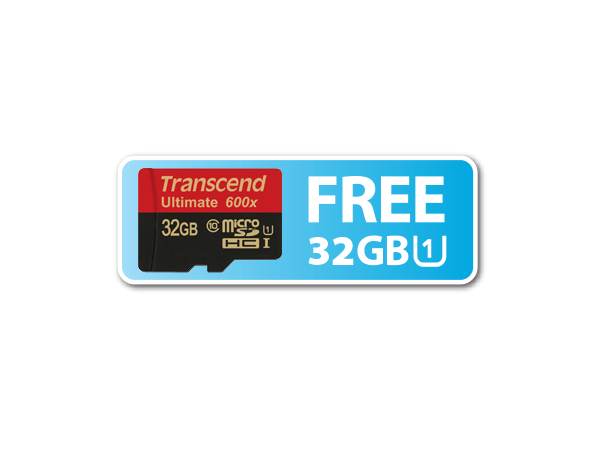 *Requires installation of software available for download atwww.logitech.com/downloads.